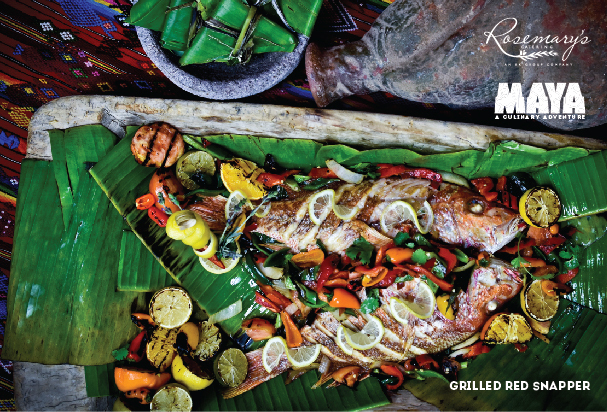 "Our culinary artists have paired high-end cuisine with the earthy and rustic Mayan food culture to offer an experience that nods to Mayan royalty," said VP of The RK Group, Ken Holtzinger. Culinary and events leader, The RK Group, announces another successful partnership between their flagship brand, Rosemary's Catering and the prestigious Witte Museum in San Antonio. Through this collaboration, they are pleased to unveil an exciting opportunity to enhance the experience of Maya: Hidden Worlds Revealed. 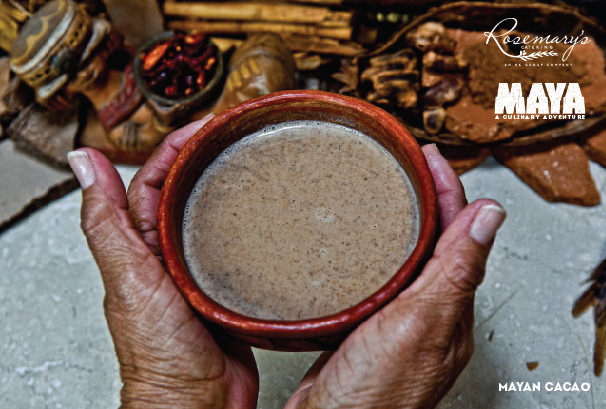 For the run of the blockbuster exhibition at the Witte Museum from May 14-September 5, 2016, The RK Group is offering a custom, culinary dining experience, “Maya- An Epicurean Adventure,” designed for private groups of 65 guests or more. This concept, which features curator-led tours paired with the enhancement of an unforgettable, Mayan-themed dining experience, is the brainchild of Rosemary’s Catering Executive Chef, Mercedes Valadez and Chef Miguel Hernandez. “The name Maya means magic and illusion, and so we drew our inspiration based from the mysticism and honor that Mayan gods gave to select foods,” Hernandez explained. 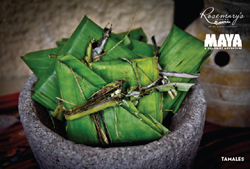 “Our culinary artists have paired high-end cuisine with the earthy and rustic Mayan food culture to offer an experience that nods to Mayan royalty,” said Vice President of The RK Group, Ken Holtzinger. 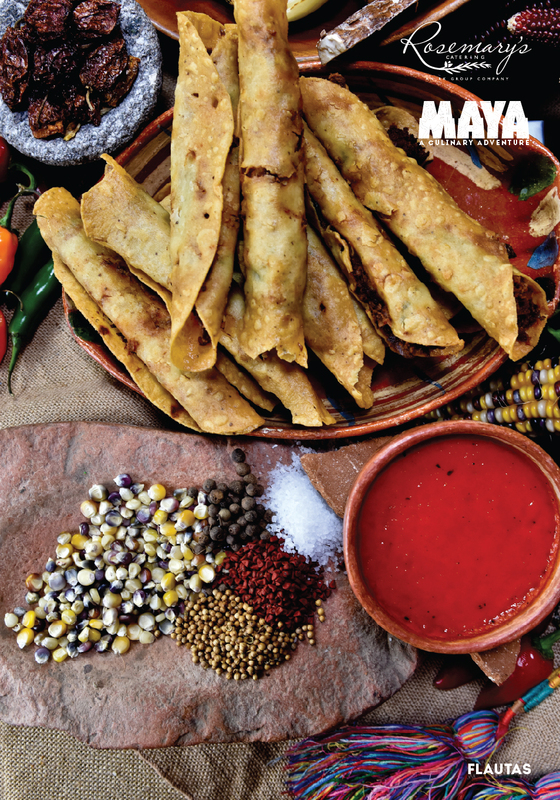 Highlights of this special menu include Panza Verde, Poc Chuc, Xni-Pec Salsa, Chocolate pairings and Tamales Dulces. Guests can choose a variety of food and beverage packages along with hors d'oeuvres carving stations, signature cocktails, and top-shelf bar service. Guests can upgrade their experience with Maya-themed entertainment and servers. The RK Group, whose success is built on creating sublime event experiences in select venues across the country, is looking forward to collaborating with the Witte Museum. Their fifty year relationship includes producing the prestigious Witte Game Dinner and various other galas. The RK Group and brands, Illusions Rentals and Designs, Flair Floral, Circa Destination Management and The RKD Studio offer comprehensive solutions to service other celebrations such as weddings, social events, corporate events and fundraisers. Maya: Hidden Worlds Revealed is the first exhibition to debut in the Mays Family Center, which opens in April 2016 as part of the $100M transformation of the Witte Museum. The venue was designed to showcase blockbuster exhibitions over the summer and host large events, parties and conventions the rest of the year with seating inside for more than 700 people and outside in the adjacent Zachry Family Acequia Gardens for as many as 1,000 guests. Maya: Hidden Worlds Revealed is the largest exhibition about the Maya ever to tour the United States. It features family-friendly interactive stations and more than 200 authentic artifacts. The Witte is the first museum in the southern United States to host this unrivaled exhibition. About The RK Group (therkgroup.com): The RK Group is an industry-leading hospitality and culinary service management company operating the nation’s most distinguished event centers, museums, restaurants, hotels and convention centers. Their breadth of services includes a single, cost-efficient solution for all catering, event production, design, and management. The RK Group is privately held and diversified through their wholly owned signature companies: Rosemary’s Catering, Illusions Rentals and Designs, RKD Studio, Circa Destination Management Company, Flair Floral, and restaurants, Radio Milano, Milano Bar, Capitol Grill, and The Story of Texas Cafe. About The Witte Museum: About the Witte Museum: Founded in 1926, the Witte Museum is located on the banks of the San Antonio River in Brackenridge Park and is San Antonio’s premier museum promoting lifelong learning through innovative exhibition, programs and collections in natural history, science and South Texas heritage. The Witte Museum serves 350,000 visitors a year, including 150,000 school-age children and 80,000 who attend during Free Tuesdays.